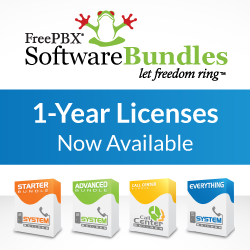 A few weeks ago we pushed out the first beta release of FreePBX 13. This beta was primarily pushed out as a manually install tarball and beta distro release for our advanced users. These community members and our internal testers have been testing and ironing out bugs to allow expansion to a wider audience. Our desire is to be as stable as possible even in beta for our community. Two weeks ago we did a soft launch of our GUI Update utility. 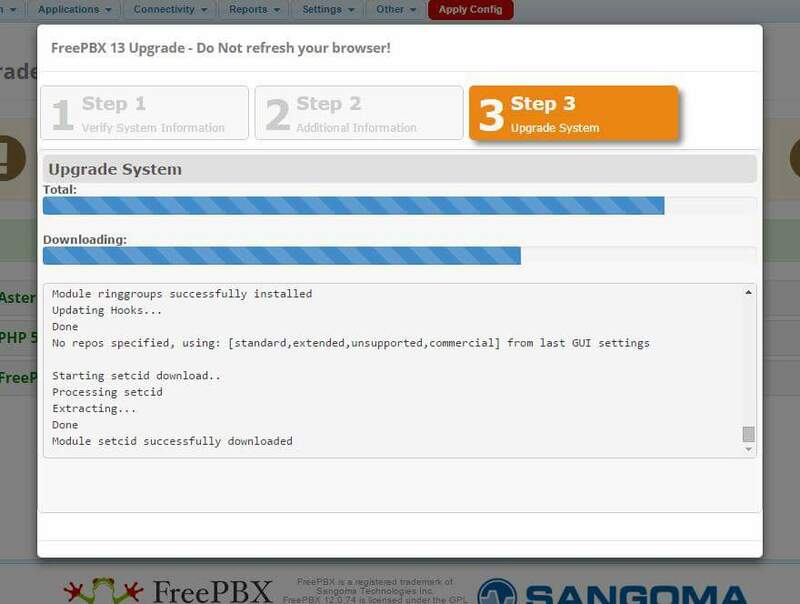 This allows anyone running FreePBX 12 to upgrade to 13 by way of the FreePBX UI. If you are running FreePBX 12 you can go in to Admin -> Module Admin and click check online. Keep in mind that we have done our best to make sure this is safe enough for production use but we cannot account for all use cases. There are likely still bugs unaccounted for and you may be the one to find them. Before updating please make a backup. As a BETA this is not recommended for production use. We put a heavy focus on the core open source code that is FreePBX. If you use any of our premium add on modules to enhance the FreePBX experience, they may not be fully functional. If you use commercial modules update with caution. Apparently there is a way to change the character set of databases (it probably doesn't take care of non-ASCII characters though), see http://stackoverflow.com/questions/6115612/how-to-convert-an-entire-mysql-database-characterset-and-collation-to-utf-8 . That has a way of corrupting data. Which is why we don't migrate old databases automatically. You can do it yourself of course and it'll probably be fine. Note: ALTER TABLE tablename CHARACTER SET utf8 only sets the default char set on a table which is used for newly created columns. It does not convert existing columns that already have a char set set. I did many tries (restoring from my backup after each). This was caused by the table asterisk.faxpro_hook_core which is used by the "Fax Configuration Professional" module. Wanting to play it safe I restored from my backup and I then deinstalled it the module (so that it would remove the table cleanly). I then reinstalled the "Fax Configuration Professional" module and disabled it (this is what I do with modules I don't currently use but are part of the distro, I don't normally uninstall them. so I'm guessing that that is v.13 code?